If you’re studying up on smart locks, you might initially be a bit confused when it comes to a brand like Kwikset. The catch: Kwikset makes several smart locks using its Kevo technology, but it also offers this one, released under the Premis label—and I think it’s a better pick than any of the Kevo locks. The closest comparison to the Premis is the Schlage Sense—to the point where, in many ways, they are interchangeable. 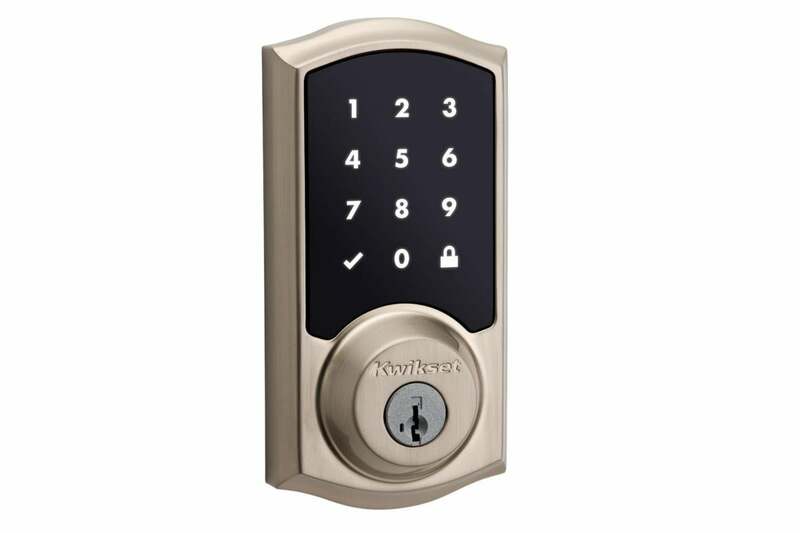 Both feature a numeric keypad on the exterior alongside a keyed lock, and both feature reliable, sturdy construction, plus a simple, capable control app that lets you use a Bluetooth connection to control the lock. The Premis is not quite as industrial in appearance—but it’s close—with a slightly more discreet interior escutcheon and an exterior escutcheon that’s dominated by the large numeric touchscreen. The Schlage’s touchscreen works a bit better; it’s easier to get button presses to register and requires less effort than the Premis, which could be a big deal if you’re counting on a child to use the screen to open the door. Otherwise, the two designs are very much alike. The Kwikset Premis app enables administrators to set up an auto-lock delay. The Premis setup follows the Kevo fairly closely, although it’s a bit more streamlined and faster to get up and running. One of the key elements of the Premis is that it supports HomeKit, and even without an Apple TV you can use Siri to tell the Premis to lock and unlock, and if you have an iPhone the lock will automatically be added to your Home environment, so you can get iOS pop-ups when the door is opened or closed. With a recent-model Apple TV, you can do all this remotely instead of just from within Bluetooth range. Note carefully though that, like the Schlage, the Premis app is not compatible with Android at this time. 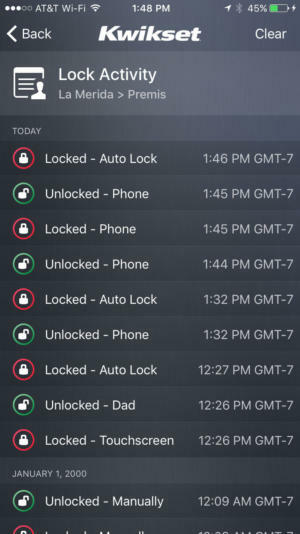 In addition to letting you set up four-digit codes for up to 30 users and 15 iOS devices, the app also lets administrators set up an auto-lock delay ranging from 30 seconds to 4 minutes in length. Access codes can be limited by time or date, or given the ability to be used just one time in the next 24 hours, a nifty feature for, say, letting a neighbor in to drop off a package. Keypad beeps can be turned on or off within the app, as can the “secure keypad randomizer” feature, which illuminates two digits at random every time the lock is accessed. These must both be pressed before a user’s code is entered, which (might) help to reduce the risk of brute force attacks. Since both this lock and the Schlage Sense are iOS-only and have very similar features and designs, comparing them is a rare apples-to-apples endeavor. Overall, the Schlage is the modestly superior lock thanks to its beefier design, slightly faster app, and—for now—cheaper price tag.